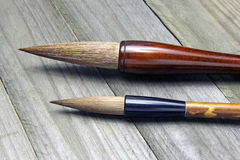 Two chinese bamboo writing brushes. 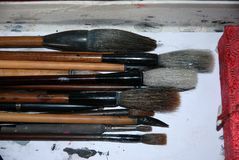 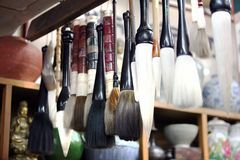 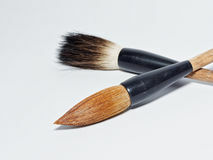 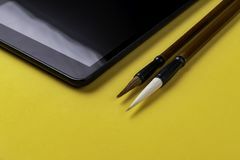 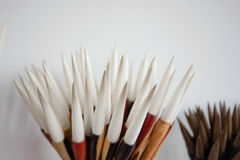 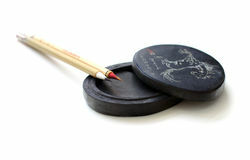 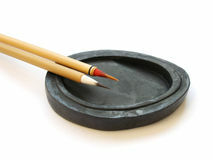 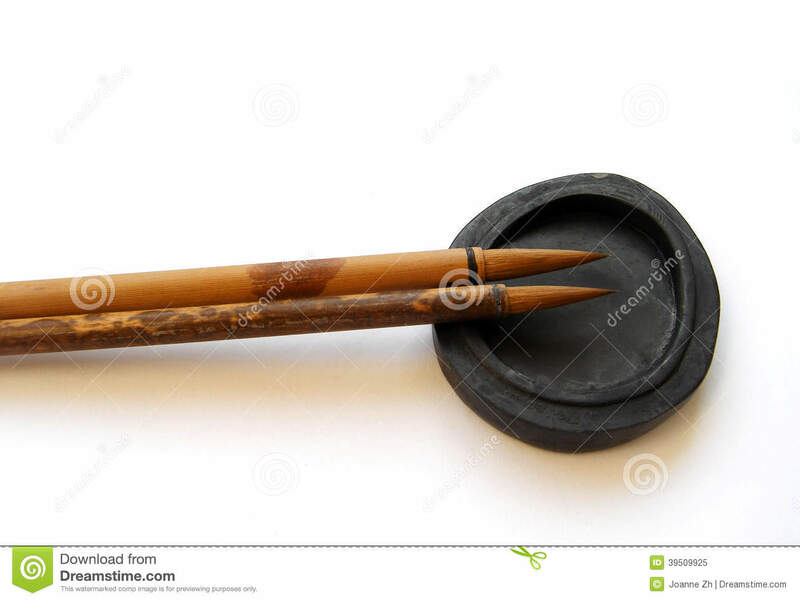 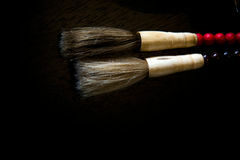 A photograph showing 2 antique style china calligraphy brush made from bamboo and goat hair. 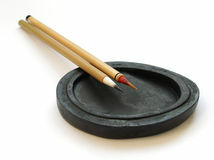 Placed on an old stone ink well. 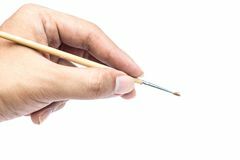 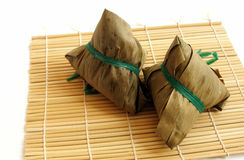 Taken on clean white background with copy space.